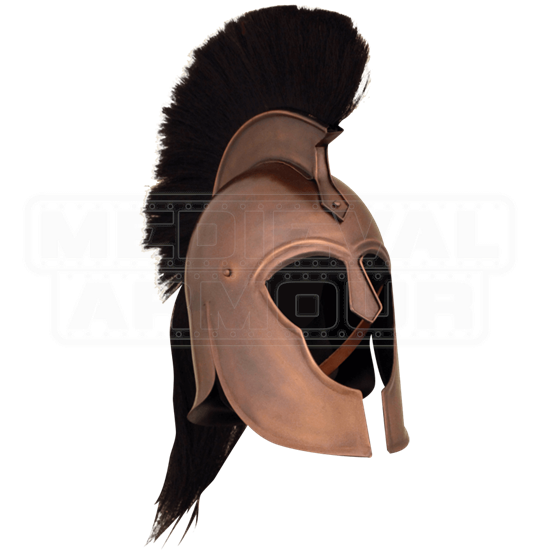 With its classic Greek styling and its impressive appearance, it is not difficult to picture an ancient Greek hero wearing the Trojan War Helmet as they charge into battle. This helmet offers full protection as well as an impressive black plume. The helm is styled like a classic Corinthian helmet, featuring total head and neck protection on a rounded helmet, as well as elongated cheek and facial guards, as well as a nose plate that extends down into the helm. The top of the helm is capped with a black horse hair plume, which makes this helm quite noticeable, even during the chaos of battle. The helmet features a bronzed finish that only enhances its historical look, as well as giving it a very appealing, deep brown forged look. 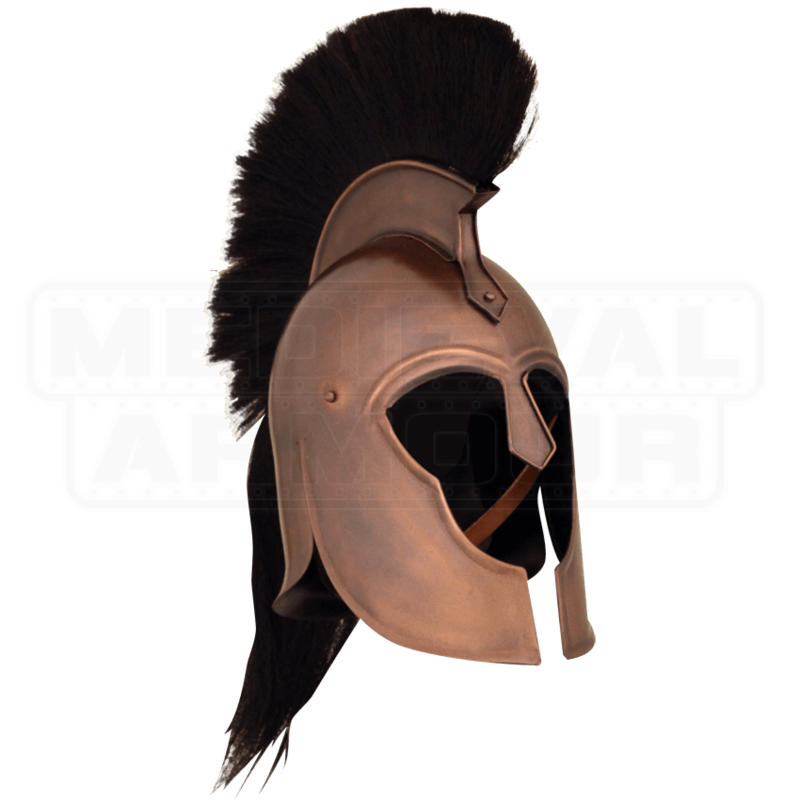 The Trojan War Helmet is the ideal head protection for a Greek warrior, whether you happen to favor Achilles or Hector, and it also makes for a fantastic decorative piece for anyone who loves the styling of a great Greek piece.